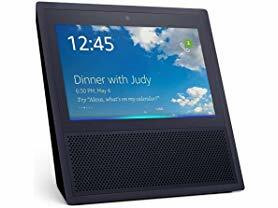 Today ONLY (2/3) - this Amazon Echo Show $99.99 (Retail $229.99). Echo Show has eight microphones and beamforming technology so it can hear you from across the room—even while music is playing. Echo Show is also an expertly tuned speaker that can fill any room with immersive audio powered by Dolby. When you want to use Echo Show, just say the wake word "Alexa" and Echo Show responds instantly.